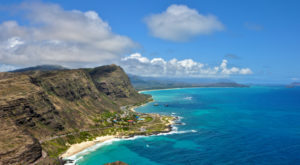 With approximately 750 miles of coastline, one might be surprised to learn that Hawaii is fourth in terms of states with the longest coastlines — behind Alaska, Florida, and California. But what we lack in terms of coastal miles, we more than make up for with a plethora of ethereal landscapes along the coast, including this gem. 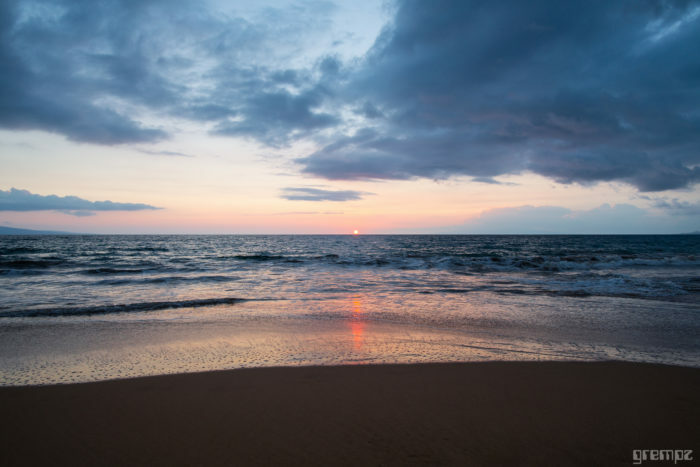 Nestled along Maui’s western shore is a stunning, lava-strewn stretch of beach sure to make you swoon. 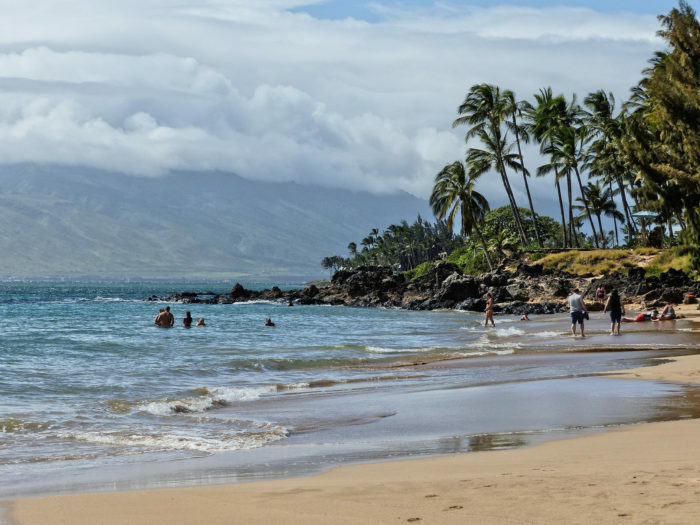 If you’re searching for the best beach in Kihei, Kamaole is the place. 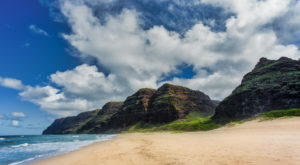 This gorgeous, 1.5-mile stretch of sand is actually three beaches in one, each of which features stunning sand, crystalline turquoise waters, and plenty of lava rocks strewn about. 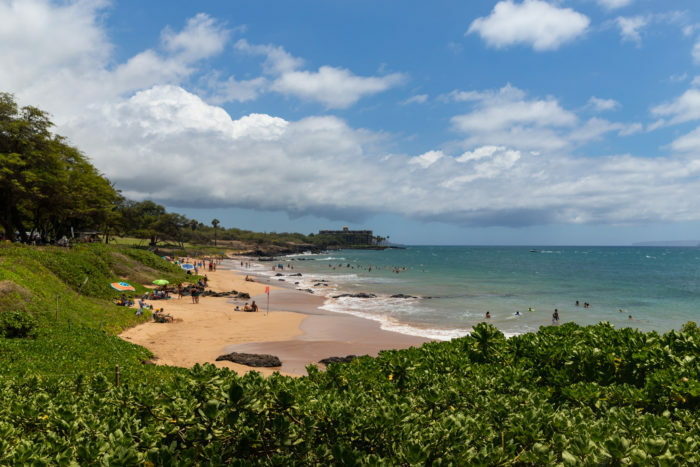 Whether you’re hoping to go swimming, snorkeling, or boogie boarding, the waters at Kamaole are relatively safe. That being said, it should be noted that the ocean drops off to overhead levels relatively close to sure. Also, during Kona storms and south swells, the surf can get big, rip currents form, and swimming can become dangerous. 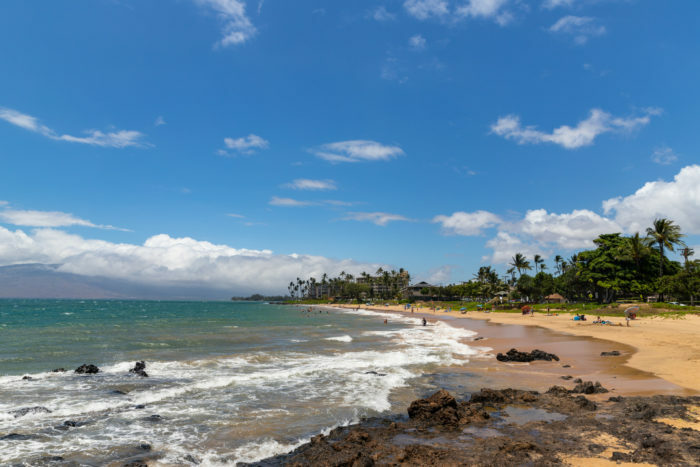 With an unbeatable combination of accessibility, facilities, and gorgeous sand, Kamaole Beaches are some of Maui’s best. 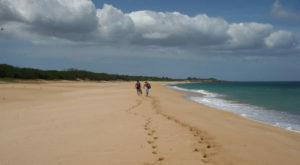 The boundaries of these three beaches are delineated by rocky lava points at either end of the beach. 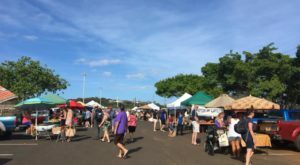 If you enjoy long walks or runs along the beach, you can easily start at either end of Kamaole and walk the 1.5 miles to the other end rather easily. 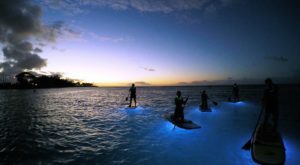 You will, however, probably want to cut across the small stretch of oceanfront lawn between Kam I and II where scrambling over the rocks is a bit more difficult. 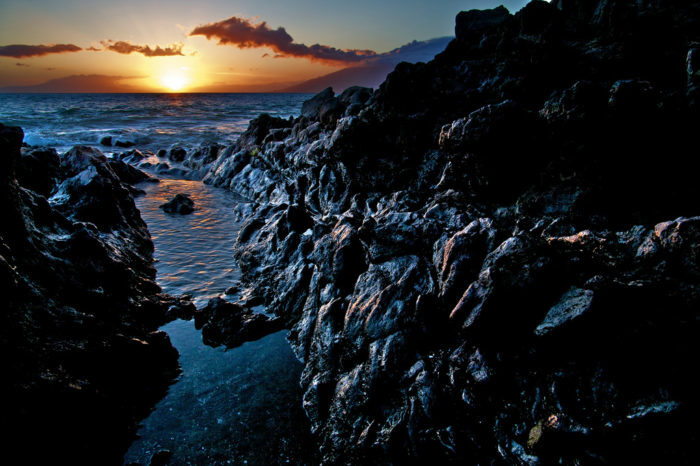 But, if you stop to take a closer look, the lava rock formations found along this stretch of Maui coastline are gorgeous in their own way. 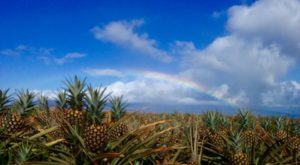 You'll also discover that this dreamy destination provides stunning views of Maui, Molokai, Kaho'olawe, and Lanai! And did we mention that the sunsets here are truly second to none? 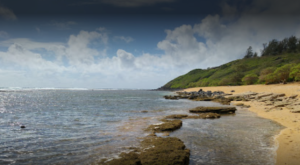 With so many incredible features and reasons to visit, it's easy to see why this Hawaii beach is unlike any other. 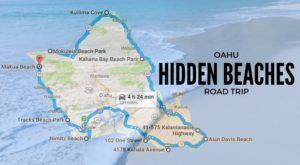 If you haven't visited this stretch of fine Hawaiian sand yet, add it to your Aloha State bucket list. 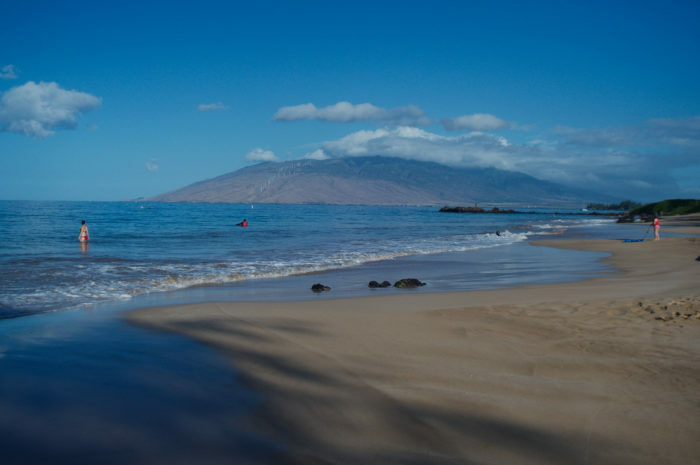 Whether you visit for a long sunset walk, morning snorkel session, or family barbecue, you won't be disappointed with a visit to any of Kamaole's three beaches. 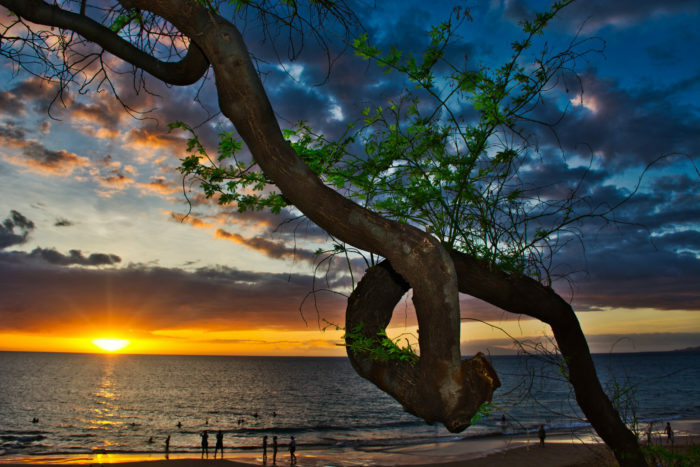 The three gorgeous beaches known as Kamaole I, II, and III are located along S Kihei Rd. 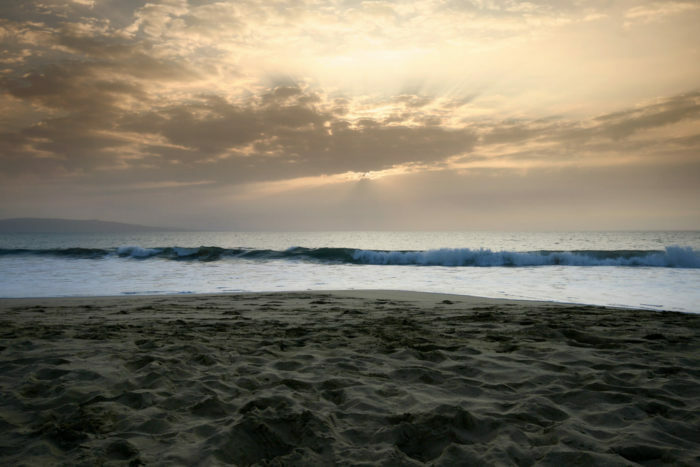 Have you ever been to this gorgeous stretch of sand? What about these breathtaking beaches?